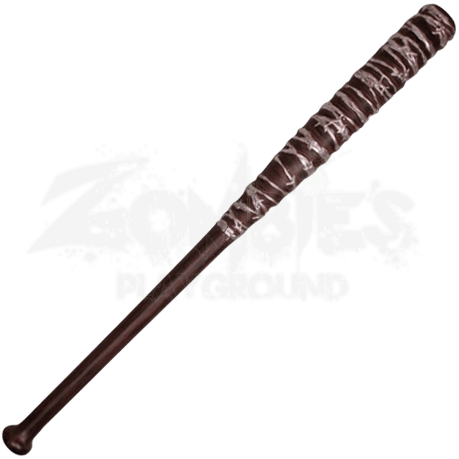 Perfect for a zombie horde campaign or a supervillain scenario, this Barbed Wire LARP Baseball Bat is an exceptional choice for any post apocalyptic shenanigans. The silver wire design shows brightly against the deep brown bat. Crafted from dense latex foam with a unique fiberglass fusion core, this dystopian LARP club is lightweight and extremely flexible. The durable latex construction with painted details provides a realistic look for any cosplay or theatrical production. 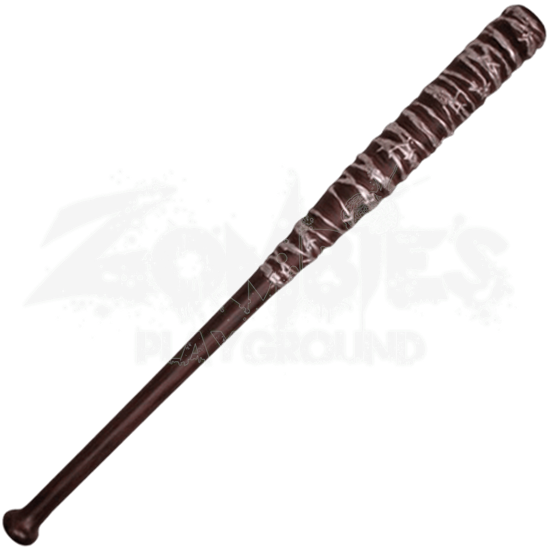 Villainous in its appearance but lacking any actual sharp edges, this Barbed Wire LARP Baseball Bat is suitable for light sparring.